Activewear worth leaving the house for! Activewear Collection so stylish, you’ll never want to wear anything else. 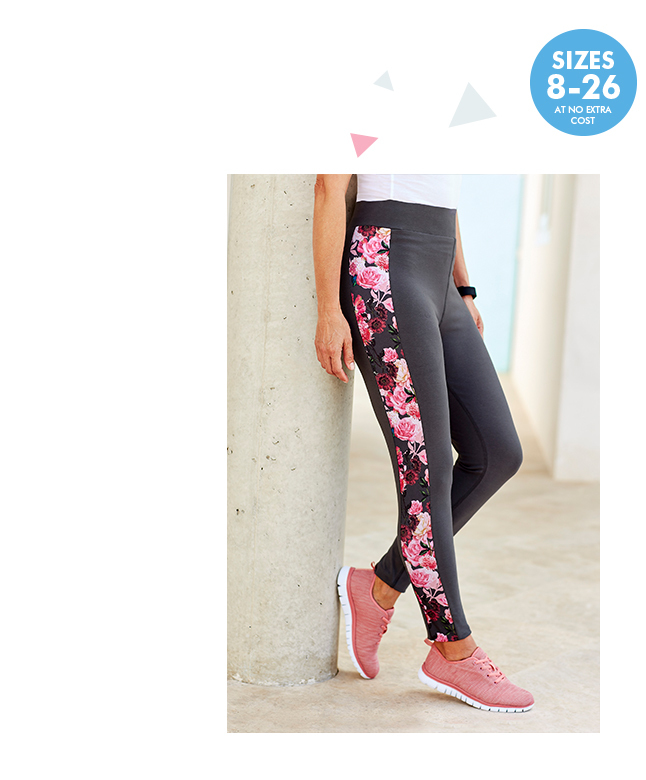 Make your workout clothes work for you with lightweight, breathable and quick drying fabrics that will keep you cool and comfortable with enough room to move. Wherever your adventures take you, we’ve made sure that our leggings feel secure and supportive but soft, free and flexible all at the same time. working out or out for brunch with your friends! Complete the look with sporty trainers and a contemporary sweatshirt to keep you cosy after your cool down.